Our excellent dedicated facilities make Hull a clear choice for students wishing to study with unrivalled access to theatre and rehearsal space. They include the listed Gulbenkian Centre and the recently refurbished Middleton Hall, now one of the finest performance spaces around with a concert hall, surround-sound cinema, ambisonic surround sound recording studio and industry-standard rehearsal facilities. The £9.5 million refurbishment also includes a new entrance and café with a 400-plus seater concert hall forming the centre-piece of the development. The versatile space is ideal for classical and popular music concerts. With adaptable acoustics, it will also be used for music, theatre and cinema screenings. Hull has a long tradition of established arts venues, grassroots and community arts practice. Theatre Making students have opportunities to present their work at annual arts events including Assemblefest, Freedom Festival, and Vista, and to bring work to venues including Hull’s alternative performance space, Fruit. 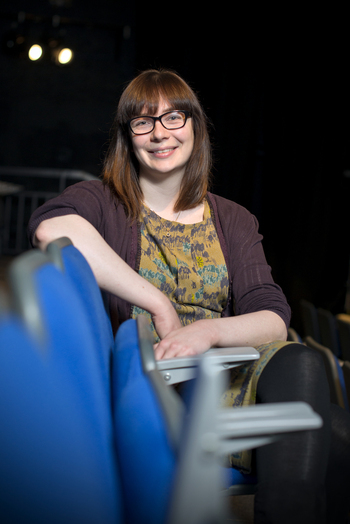 Students also benefit from links with Hull Truck Theatre, the Stephen Joseph Theatre in Scarborough and to nationally renowned companies including Opera North, New Diorama Theatre and Out of Joint. How important are place and space to the idea of performance? What does an understanding of community bring to our appreciation of the processes of making and receiving drama? You'll look at several philosophical and political readings and critiques of the formation and use of space and place. The module takes the form of a group production project. You'll research, plan and execute a project brief in a community-facing setting. Building on your prior experiences, you'll address some aspect of the relationship between space, place and performance. In a series of seminars and sessions with other professionals on producing, funding, marketing, promotion and others, you will learn how to make a personal development portfolio (including a CV), a personal statement and a documentation of practice. This module is an individual research project that is in many ways summative of your MA Theatre Making programme. Choosing either a practice-as-research pathway with critical reflection, or a dissertation-only pathway, you can capitalise on your creative interests, talents and skills. Fantastic facilities include Middleton Hall, now a world-class cultural venue after a £9.5 million investment, and the listed Gulbenkian Centre. Make theatre for a variety of audiences, as well as receiving training in setting up and running theatre companies. Our broad range of staff expertise has enabled us to design a programme that is challenging, varied, and at the forefront of research in the field of theatre making. You will have a minimum of a 2:2 Honours degree or international equivalent in Drama, Theatre, Performance or a related subject. These requirements may be varied, especially in the case of students whose first degree was taken some time ago, or where there is compensatory professional or other relevant experience.